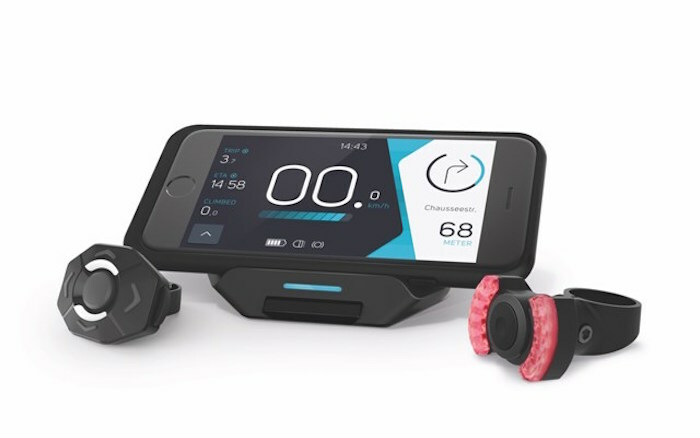 COBI, the first integrated system to connect your bike with your smartphone, announces its all-new direct sales platform. COBI partners will receive commission for every unit sold without any initial investment, running costs, little-to-no retail footprint or price competitions. The COBI technology uses a smartphone, a specially developed and customizable app, and a handlebar-mounted dock to aggregate a wide range of connectivity and cycling-specific features into a single, Bluetooth-powered, hands-free system. The COBI device acts as a dashboard to control everything from taking phone calls, navigation, skipping songs, integrated lighting and theft prevention. Check out this video for an overview of the product and brand. COBI launched in North America on July 27. With the product available for the first time ever, COBI is recruiting partners who are passionate about bike mobility and want to be part of revolutionizing the way people commute by bike while making a profit. The COBI Partner Program is an opportunity made available to anyone – bike shop owners, tour organizers, bloggers and opinions leaders alike. For the bike dealer, this is a chance to bring this smart connected biking system into your shop at a level that works for you, whether as an Affiliate or a Branded Retail Partner. Sign up is quick and easy and sales are direct through the COBI Partner webshop. Training is supported by Experticity and sales materials are easily downloaded online. COBI manages the transactions and commission payment is made directly to the partner via PayPal. The dealer can opt for delivery to the store or can have the product shipped directly to the customer. Just as COBI was developed to enhance a lifestyle, this direct sales partner program will enhance business so its partners and stakeholders can focus on making customers happy. COBI is available in 34 countries and throughout North America. To learn more about this program, apply online at: http://cobi.bike/partner-program. COBI also encourages interested parties to drop by the COBI booth #11130 at Interbike to learn more. Designed and engineered in Germany in 2014, Kickstarter-funded COBI is the first integrated system to intelligently connect your bike with your smartphone for an all-in-one smartphone holder with charging function, bike computer, navigation system, security alarm, bell, and light. COBI was named the Prototype and Overall Winner at the 2014 Bluetooth Breakthrough Awards, 2014 IoT Innovation World Cup Innovator of the Year, and 2015 Best of Mobile Innovation Winner. COBI has 65 employees worldwide with offices in San Francisco and Frankfurt, Germany. For additional information, please visit cobi.bike.